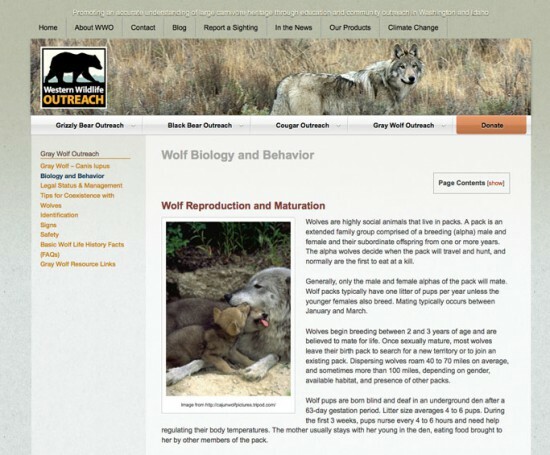 Western Wildlife Outreach offers human and carnivore coexistence programs. 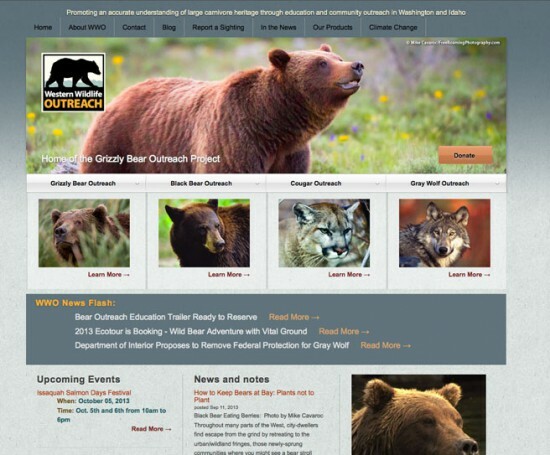 This includes four large carnivore species, grizzly bears, black bears, cougars and gray wolves. 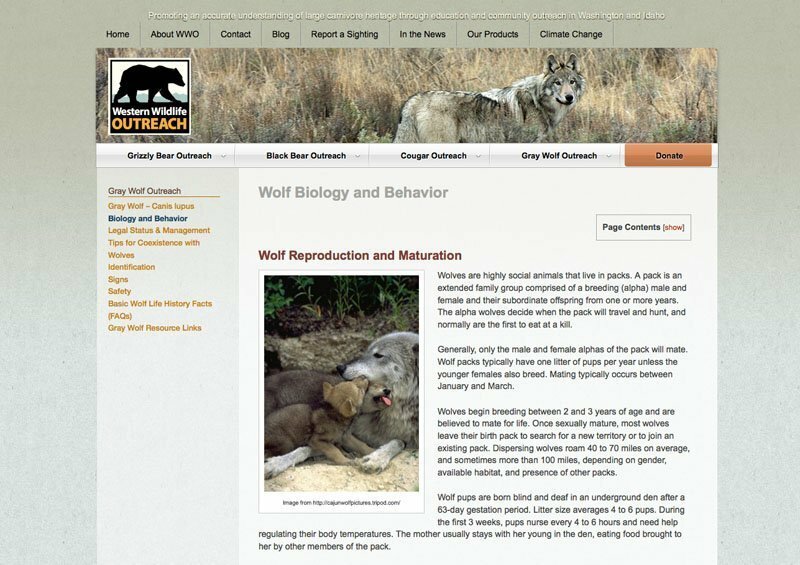 Design and build a site that anchors the organization with a single mission while offering extensive information and resources for all four carnivores. The site would be easily navigated and maintained. It would have home page areas for events and news flashes. It would be maintained by several organization members. Design and colors were chosen to be earthy and neutral so that the beautiful photos of the animals would be best presented. A subtle color scheme change would distinguish each of the animals sections. Custom edit areas were employed for bulletins and news flashes. Three levels of navigation were used to accomodate the depth of content. 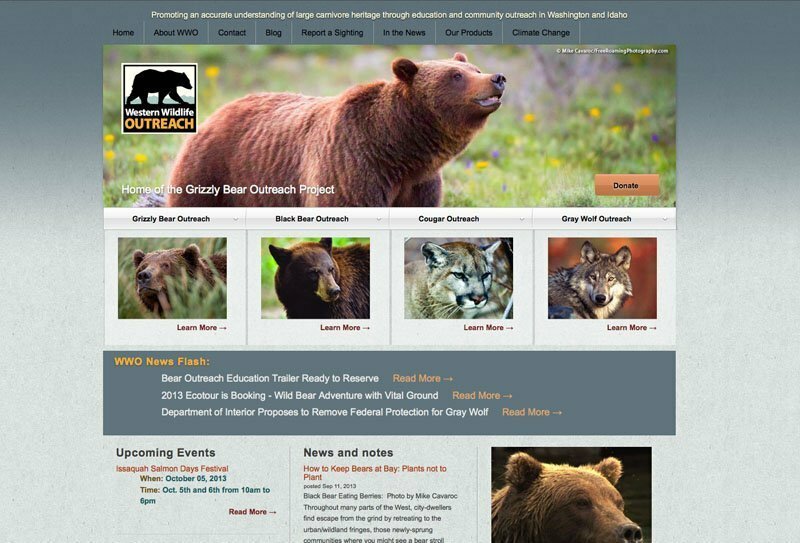 The original site was designed for GBOP – Grizzy Bear Outreach Project and built in 2010. When they changed their name in 2012, we redesigned and rebuilt the site… and furnished them with a new logo.